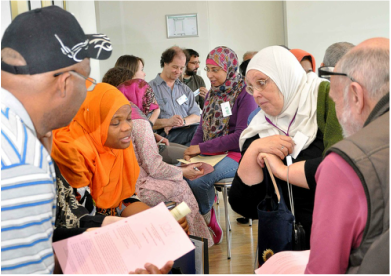 At each JCM conference, we invite Jewish, Christian and Muslim speakers to talk about their personal thoughts on the theme of the conference. While providing a framework for the buzz groups, the lectures are not intended to be academic presentations where the speaker speaks on behalf of members of his faith. Nonetheless, we ask the speakers to provide some more detailed background to enrich further discussions. You can find a selection of past lectures in our blog.